Siren's producer. He joined Sony Computer Entertainment in 1994. He also worked on the startup sounds for the PlayStation series. -- What were things like at the time when the game's director, Mr. Toyama, brought the proposal for Siren to you? 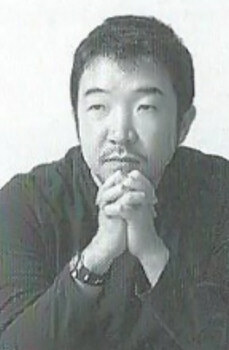 Fujisawa: Work on Yoake no Mariko, a game Toyama was involved in as design leader, was drawing to an end. He showed me a draft in March 2001. -- What was the outline of the plan for Siren like at that point? Fujisawa: At first, he simply talked to me about wanting to make a horror game. It was drafted on three or four pieces of scrap paper, and really was nothing more than the general gist of things at that point (laughs). I remember him stressing that it was a horror that would directly show off the dark side of Japan. -- Was Siren's symbolic "visions" system already in there by that point? Fujisawa: I don't remember the "visions" being part of the fundamentals of the game system from the start. Toyama tells me that it was definitely in there, though... (laughs). I do remember something about "people's visions" written amongst the impressive amount of detail, but it was never properly mentioned that it was part of the system (laughs). A few weeks later he explained it to me again, and in terms of the general outline it's pretty much the same as it is today. According to Mr. Fujisawa, Siren was quite close to its current, completed form from quite early on, but the basic visions system was created using a quite different approach right up until the prototype stage. The manner of turning the left stick like a radio tuner to sightjack Shibito was only incorporated partway through. Up until that point, the scenery being seen by people around you would be displayed in order as a series of still images. It also appears that before the game was presented by Mr. Fujisawa, its temporary title was "Jukai" (Cursed Sea). -- What were your initial impressions? Fujisawa: In terms of just wanting to make something original, it definitely shone from the beginning. -- Your job as producer is to choose whether or not to go ahead with proposals brought to you by the various directors, is that right? Fujisawa: Yes. I read many proposals during my work, but some of them strike me as being shallow, even though outwardly they look strangely well-formatted. This wasn't the case with Toyama - actually, it didn't look very formatted at all (laughs). Somehow, though, it got through to me that he had the attitude of wanting to create something from scratch. So this made me, in turn, think, "Oh, this might be worth doing. I should try working with him on this." -- When I take a look at the games you've worked on, there are quite a lot of unique ones like the PaRappa the Rapper series and Vib-Ribbon. -- I would think that you get lots of proposals from each director. Does this test your endurance? Fujisawa: It really does (laughs). -- In terms going from being presented as a draft to ultimately being completed and released, roughly how many proposals survive? Fujisawa: Hmm... I think about 20-30% overall. No, maybe lower. Everyone thinks up something or other throughout the year. -- What are the criteria you base your judgements on when you greenlight a proposal? Fujisawa: I was asked the same thing the other day... "What are your criteria for proceeding with something?" (laughs). In general, all it really is is whether it clearly has its own individual style. I suppose this also means originality, or whether it can stand on its own two feet. -- When I compare Siren with games often seen in your portfolio where music and text are utilised together during gameplay, it's very different. Fujisawa: It's totally different, right? (laughs) But UmJammer and Mojib-Ribbon took shape through a process of working back and forth with a creator called [Masaya] Matsuura... In that sense, I think more than half of the proposals depend on the person. For example, if you were to ask me what would happen if the same proposal was brought to me by a different person, I think parts of my assessment would change. -- Above all else, does it feel like you can see "character" through the proposal? Fujisawa: First of all, one thing is thinking, "Hm, this looks like it could be turned into a game," by combining elements here and there from the proposal. Then I guess the next thing is that I can kind of sense the environment in which it was created, and the nature of the person who created it. It's kind of like, once I understand the way in which the person thinks, I start thinking that if I join in we can create something. I don't simply judge by what's written on the paper. -- In terms of "character", how did director Toyama look to you? Fujisawa: Hm... Like an otaku, or maybe sort of like Moji Moji-kun (laughs). I think that's what most people's first impression of Toyama generally is. He's not a particularly eloquent person, nor is he the type to forcibly persuade someone. -- But it was this rather quiet Toyama's proposal that caught your attention and made you think that it could work. Fujisawa: That's right. In terms of character, it wasn't the type that really stood out, but one that had a framework in terms of being presented as a game. All I have to do, then, is my own job that comes next, like communicating both inside and outside of the company and considering the possibility of having a foreign version as well as the Japanese one (laughs). -- What about Ms. Sato, who was in charge of background and scenario? Fujisawa: Sato is an otaku, too... I mean that in a good way, of course (laughs). In her case, though, she talks a lot, so she's the opposite of Toyama (laughs). I think that quite a large part of Siren's success was managing to combine their differing points. -- I think the same is probably true of Mr. Matsuura but, like Toyama and Sato on Siren, is there anything you pay attention to in trying to manage their strong wills? Fujisawa: Rather than "managing" or "using" them, I think it's more like winning them over as we discuss things. It makes it harder to know when to apply the brakes. When they start talking and get excited, things gradually begin to move in their direction and as a result we sometimes start to lose generality. -- You applied the brakes (laughs)? I got the impression that there were no brakes at all. Fujisawa: The brake is used when need be (laughs). In the prototype stages, there were some scenes where the ways of defeating Shibito were really gruesome... I think that might be a really extreme representation, but I didn't want Siren to be told using those things. And, of course, it would be totally against the company's code of ethics (laughs). Aside from this, there were things like all of the defeatable Shibito always being in possession of weapons, and giving the reasoning for this as them fighting to protect themselves, or when the player character is a child, having them crouch down and end it there when they're caught by a Shibito... Quite a lot of forethought went into making it, though. Basically, though, I think that Siren was a game where the creators had quite a lot of freedom. For example, take the archive items that appear in the game. Rather than making them using CG, they go to all the trouble of actually creating them like props for a film, then photographing them and putting them into the game. When they were making the "altar idol", they told me, "I went to the fish market and bought a fish, then took off the tail and used it for parts~" "What the hell is this?" I thought as I put my stamp on the 180-yen receipt (laughs). According to Mr. Fujisawa, who worked on the startup sounds for the PS and PS2 and was himself a musician, says of the siren, a key part of the game, "Looking at it in acoustic terms, its symbol is how difficult it is to pinpoint the origin of the sound." This means that the sound was created so that you can hear it well wherever you are - in other words, you don't know where it's coming from. This is an excellent way of stirring up human anxiety. -- Earlier, you mentioned that you were not only concentrating on a Japanese release, but also eyeing a potential overseas one. In Siren's case, this means expanding out and actually releasing in Asia, Europe and America. When did you come up with the idea of taking a horror game set in Japan worldwide? Fujisawa: Right around that time the level of foreign games was steadily beginning to rise, though now they're actually reaching a really high level of quality. What was in Toyama's proposal in this situation was "trying to challenge this with the theme of 'Japan'". I think in the way games set up their stories and backgrounds, games have a tendency to try to gloss over or run away in the direction of using something that looks set in the Middle Ages, or a foreign country you can just about imagine. I thought that the concept of taking the life-sized world of today that we're familiar with and using that to build a game off was an interesting one. I also wanted to scare people the world over using our own language systems and thought patterns. -- What did you personally give strong directions on? Fujisawa: With regards to the expansion overseas, I had supposed that this would probably be quite a big project. If we were going to take this to the whole world, we had to do a good job of it. If we pandered to them even a little bit, it would create a chink in our armour. We don't live in a foreign country, nor do we drink their water, so I thought that they would more graciously accept it as long as we didn't try to adjust things to their ways of thinking. -- Do you think that being conscious of foreigners and pandering to them are completely different things? Fujisawa: I guess it's like, if we took it to the extreme domestically then the rest of the world would "get it" (laughs). Toyama himself wanted it to be completely "made in Japan" as well. Maybe that kind of reverse thinking tugged at my reckless heartstrings (laughs). Siren was always aiming to have an ensemble cast, but originally they were shooting for a scale where you would control 100 characters. At this stage, you would only be able to control each character once throughout the entire game. Later on, in order to heighten immersion in the story, they decided that they should heighten the dependence on set characters and began reducing the number of playable and appearing characters, until it finally took shape as the Siren it is today. -- By the way, on top of having an ensemble cast there is also a timeline for the story developments, including some parts that are very difficult to understand. In terms of the difficulty, here and there I also hear shrieks of "it's too hard!". Fujisawa: Normally, at the stage of a written proposal, you'll start to get an idea of the general plot summary, right? But with Siren, there was none (laughs). I had no option but to reconstruct the scenario in my head, and even that took two or three days. But the style of having an ensemble cast was something that Toyama was particular about from the start. I thought the method of not narrowing down the hero to one person was a pretty interesting one. It must be hard for Miyamoto Musashi to carry a taiga drama on TV all by himself for a whole year, mustn't it? But if it has the Shinsengumi, you can bring together a bunch of stories about all kinds of people and give it a larger scale. With regards to the difficulty, this might be something that caused a lot of trouble. If you want to sell a lot, then of course it's best to make it easy to some extent. However, there are some players who were actually brought in by how hard it is, and the difficulty was always done with Toyama's own intentions... We tried to just about keep it within an acceptable range. In that sense, too, I guess that Siren is one case where the thing that the creators originally wanted to portray were brought together quite faithfully. If you take out the trivial playful bits, then the initial image from the proposal is curiously similar to the final one. I think that the artistry of Keiichiro Toyama as a creator has been hammered out really well.